Showing 53 articles from October 16, 2013. 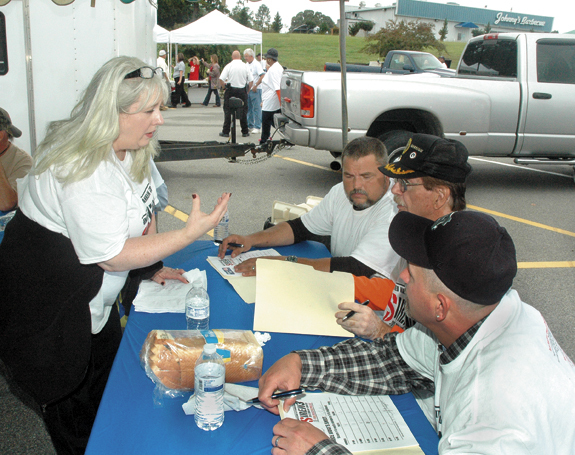 LOUISBURG — The former operators of Franklin County’s airport have come to collect. Knightdale Airport Inc. and Carlina Inc. have filed a lawsuit, alleging that Franklin County breached a 40-year contract, swindling them out of millions in investments and future earnings at the airport. The incorporated businesses served as the airport’s operator — First in Flight — beginning in May 1997. RAPT ATTENTION. 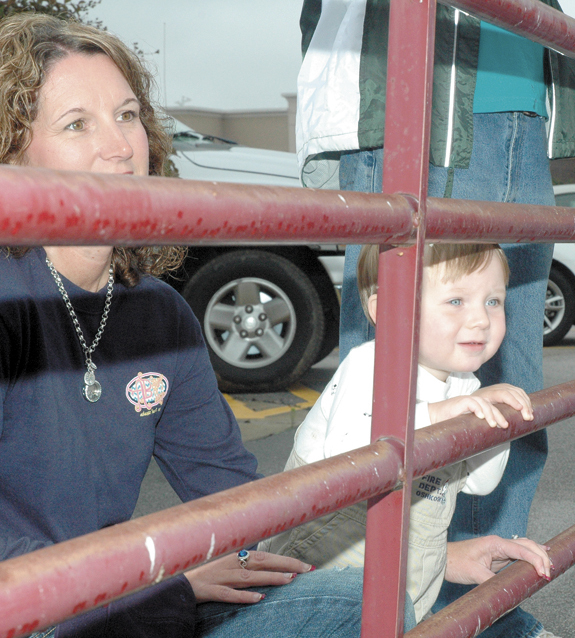 Colton Leonard and his mom, Pam, get a good view of the goings on in the Walmart parking lot last Saturday. YOUNGSVILLE — Apparently, town police officers can teach door-to-door salesmen a thing or two. Back in July, commissioners gave officers the approval they needed to solicit businesses for money to buy Tasers — non-lethal weapons that officers said they needed to fight escalating crime. First Sgt. Ron Adkins and Patrol Officer A.J. Urdaneta were tasked with contacting businesses to see if they would support the town’s effort. YOUNGSVILLE — Last week, Sheriff Jerry Jones told county commissioners that police chiefs were on board with plans that could put deputies at schools within town limits. 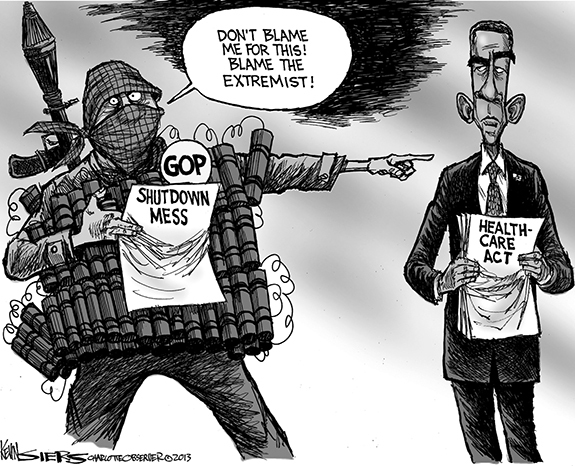 However, they have expressed heartburn about boarding a train that already appeared to have left the station. Elections Director Lisa Goswick, right, and Deputy Director Michelle Chavis, second from left, help Board of Elections members, from left, Thomas Bregger, Sonravea Privette, and Amy Southerland test voting equipment on Tuesday. Early voting begins at the office on Industrial Drive on Thursday. 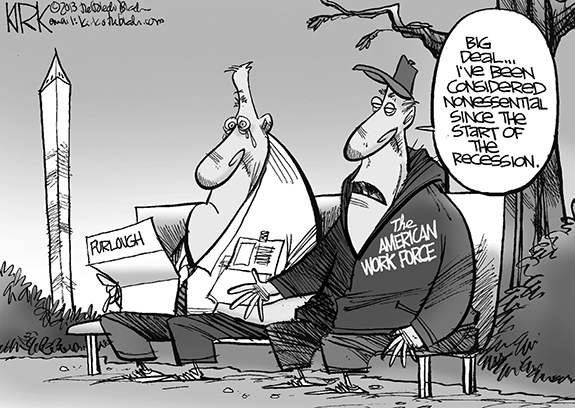 Election day is Nov. 5. With the school year nearly two months along, the Franklin County Board of Education was finally able to adopt its final $76.6 million budget for 2013-14 during its Monday night meeting. “Most of the dust has settled” at the state and county level said Assistant Superintendant Doug Moore, who presented the finalized budget to the board. Downtown art was fleeting but impressive! Incredible pictures done mostly with chalk on a downtown sidewalk! If you took a close look at last weekend’s edition of your Franklin Times, you undoubtedly were impressed with the Arts Council’s downtown art event that featured local artists creating art on sidewalks — very detailed, impressive artworks, by the way. 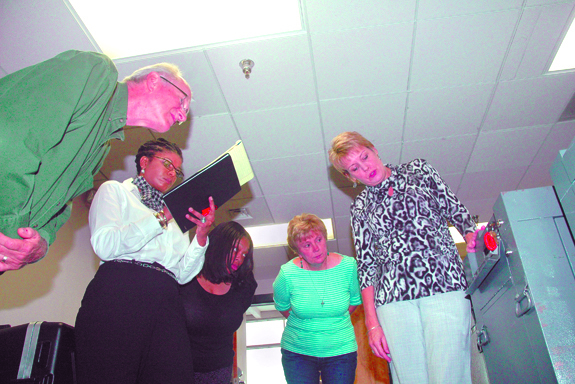 Something was “different” at Monday night’s Franklin county Board of Education meeting. First, a veteran principal asked a simple question that he knew the answer to long before he voiced it. And, local industry representatives, instead of just complaining about the state of public education, explained why their company is getting involved in making things better and more exciting for students. Stories like the one I just read have a way of putting a pit in your stomach. A study conducted by USA Today revealed more than 1,500 recent cases where nursing homes had been cite d for mishandling funds belonging to some of our most vulnerable people — elderly residents in these homes. In one of the more alarming cases, a former office staffer at a facility in Mississippi was arrested and charged with billing more than $101,000 in personal expenses to trust accounts belonging to residents at two nursing home facilities. What to do with the trash after a party is always a dilemma. De jure Governor Pat McCrory seems to have found a solution; he put it all in a place he doesn’t care about — the North Carolina Department of Health and Human Services. DHHS is headed by McCrory fundraiser and George W. Bush appointee as Ambassador to Estonia, Dr. Aldona Zofia Wos. This in part is what I was told by a longtime sitting county commissioner when I contacted him to extend a little courtesy. He made it clear he was not happy with my commentary on how the board in general is disrespectful to citizens when they appear and ask questions. October is National Domestic Violence Awareness Month. During the month of October, domestic violence programs throughout the country recognize the victims that have been murdered by the hands of their abusers, whether it be a spouse, boyfriend/girlfriend or family member. 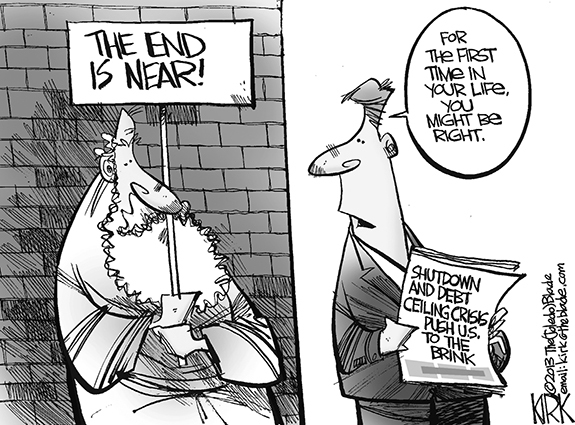 Editorial Cartoon: The End Is Near! BUNN - Cynthia Hartsfield, 56, died Sunday, Oct. 13, 2013. Funeral will be Thursday, Oct. 17, at 1 p.m. at Zion Spring Church of Christ (Disciples of Christ), Bunn. Interment will follow in Zion Spring Memorial Gardens. YOUNGSVILLE —Jean Harris Winn, 91, died in her home on Monday, Oct. 14, 2013. Funeral services will be held at 1 p.m. Thursday, Oct. 17, at Harris Chapel Baptist Church, with the Rev. Dr. Bill Haley officiating. Burial will be in the Harris family cemetery. ROCKY MOUNT—Funeral services for Linwood Middleton, 59, who died Friday, Oct. 11, 2013, will be held Saturday, Oct. 19, at 2 p.m. at Social Union Baptist Church, with the Rev. Nathaniel Bunn officiating. Burial will follow in Spring Hope Memorial Gardens. NOWHERE TO GO. 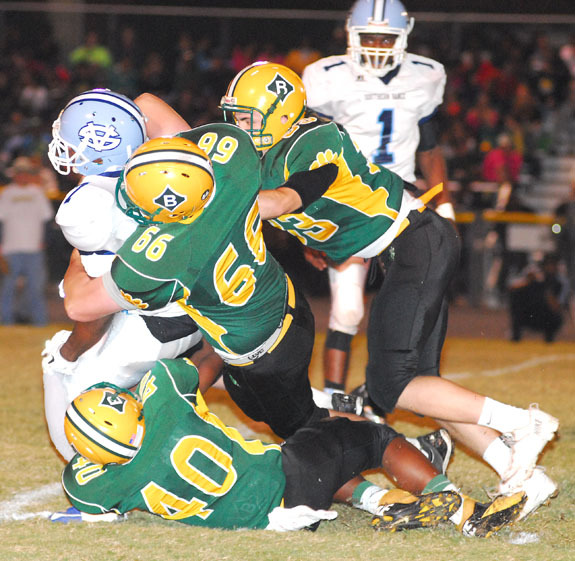 Bunn High School defenders (l to r) Daroun Hodge, Jackson Leggett and Nathan Sperling team up to make a tackle during the Wildcats’ home victory last Friday night against Northern Carolina Conference foe Southern Vance. SUPER SIX. 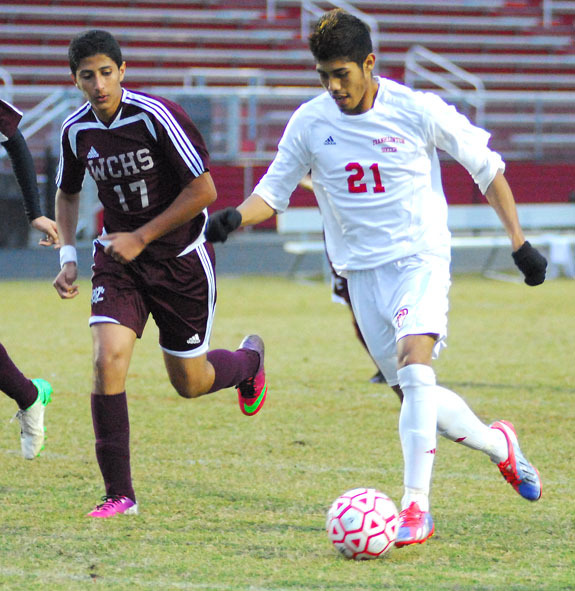 Franklinton’s Preston Mason-Eaton (with ball) dribbles upfield during last Wednesday’s home boys soccer decision against Warren Co.
FRANKLINTON -- Winning has become contagious with the Franklinton High School boys soccer squad. As a result, the Red Rams control their own destiny in the Northern Carolina Conference standings heading into the final week of the regular season. With a mark of 13-7 overall and 9-2 in the NCC, the Red Rams are one game behind North Carolina School of Science and Math in the conference standings. QUICK START. 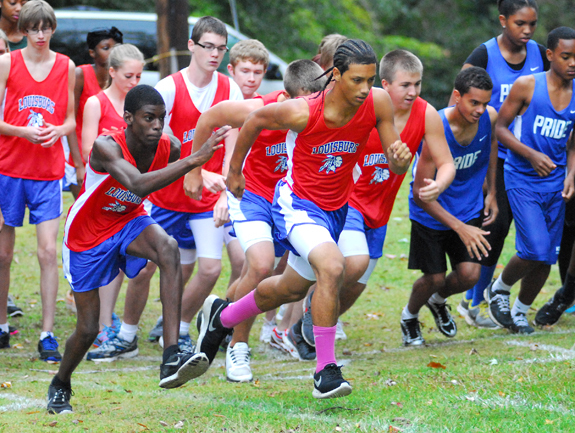 Members of the Louisburg High School boys cross country team, including eventual winner Chris Thorne (center), speed away at the beginning of last Wednesday’s Tar-Roanoke Athletic Conference event on the LHS campus. 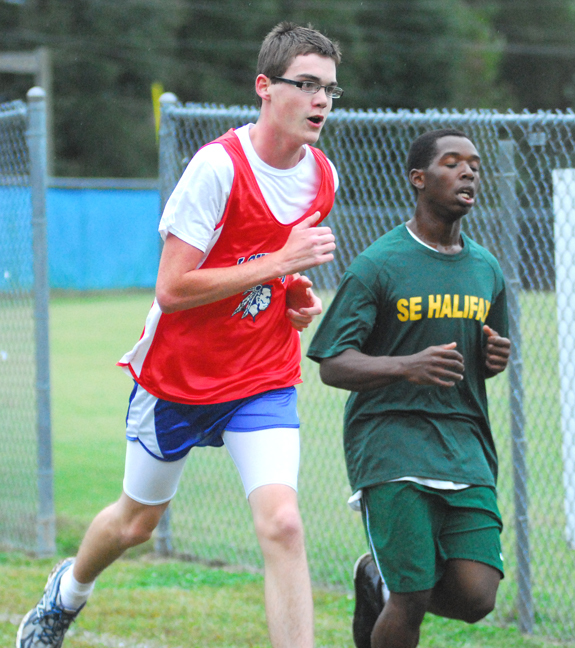 LOUISBURG -- One huge positive came out of the poor weather offered for last Wednesday’s Tar-Roanoke Athletic Conference cross country meet on the campus of Louisburg High School. The temptation of shelter and warmth certainly served as a motivator for runners who braved the rain, wind and below-normal temperatures to complete LHS’ home layout. 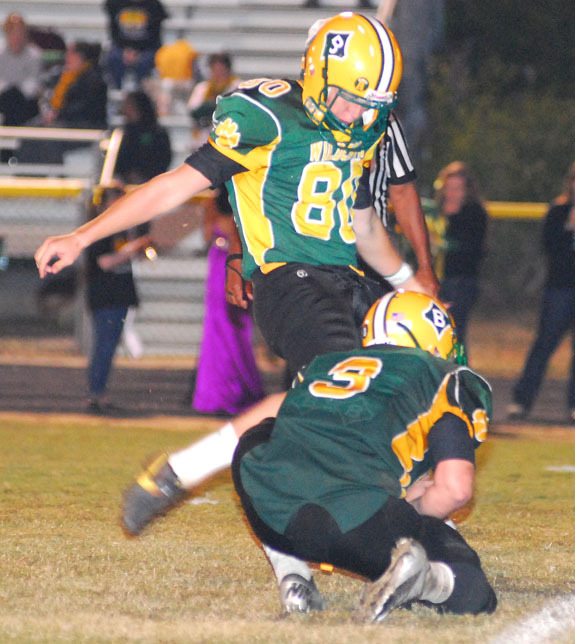 BUNN -- Organizers of the annual Shrine Bowl of the Carolinas Football Game work hard to make sure that the experience is a memorable one for selected players and coaches -- on and off the field. In addition to the showdown between the North Carolina and South Carolina All-Stars on the campus of Wofford College in Greenville, S.C., attendees enjoy a variety of events and practice sessions throughout the week heading up to the contest. 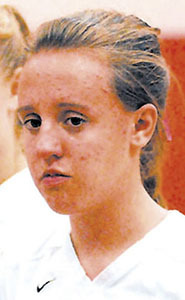 In the NCC opener for both clubs, Franklinton and host South Granville combined for an unbelievable 124 points last Friday -- with SG holding on for a 67-57 conquest. HENDERSON -- The Vance-Granville Community College women’s volleyball team won its first match of the season on Oct. 5 in what was also the program’s first match against a team from a four-year university. 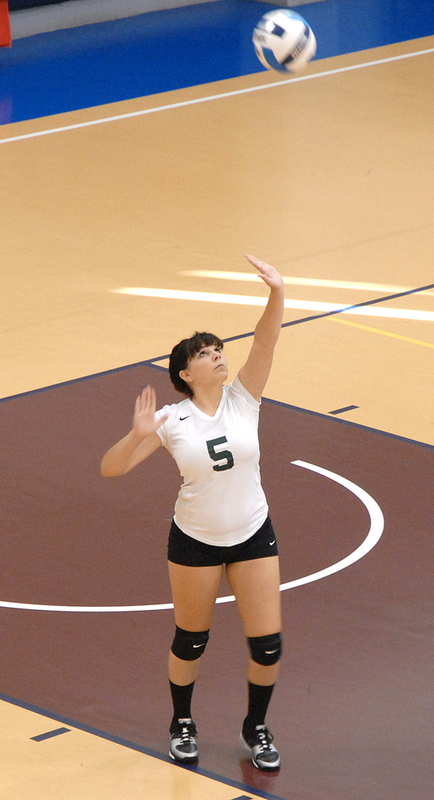 The Vanguards bested the squad from Mid-Atlantic Christian University in a thrilling home match that started with VGCC victories in the first two sets (25-19 and 25-23). LOUISBURG -- The 19th-ranked Louisburg College football team dropped a home non-conference game, 42-39, to the Atlanta Sports Academy last Saturday afternoon at Louisburg High School’s Patterson Field. The Hurricanes ruled the game on the ground as they outgained ASA, 357 yards to 50, but the ASA’s air attack out-dueled the Canes 388-85. LOUISBURG -- After watching his team fail to hold onto a substantial lead one week earlier at Warren County, Louisburg’s Chris Lee encountered a similar scenario during Monday’s Tar-Roanoke Athletic Conference football opener at Southeast Halifax. Once again, Louisburg built a comfortable early advantage -- only to see its opponent make a furious rally. 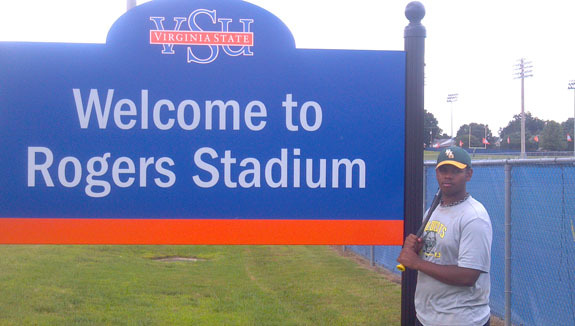 GREENSBORO -- When Bunn’s Tarik Cohen signed a letter--of-intent to join the North Carolina A&T football program, former BHS coach Chris Miller predicted that Cohen would make an immediate impact for the Aggies as a true freshman. Miller’s prophecy was a correct one as Cohen, a running back, has gotten off to a quick start this fall. BUNN -- It didn’t take long for the baseball hook to permanently lodge itself into Tony Alaffita. When he was four years old, Alaffita joined the Bunn Youth Recreation League T-Ball program. And he hasn’t stopped playing since. “Over time, I have liked baseball more and more,’’ Alaffita said. GREENVILLE --Thirty-two home games at Lewis Field inside Clark-LeClair Stadium, including the 11th-Annual Keith LeClair Classic, highlight the 2014 East Carolina baseball schedule announced last Friday morning by head coach Billy Godwin. Louisburg’s America Paschall (left) makes a strong move during last Wednesday afternoon’s Tar-Roanoke Athletic Conference cross country meet on the LHS campus. 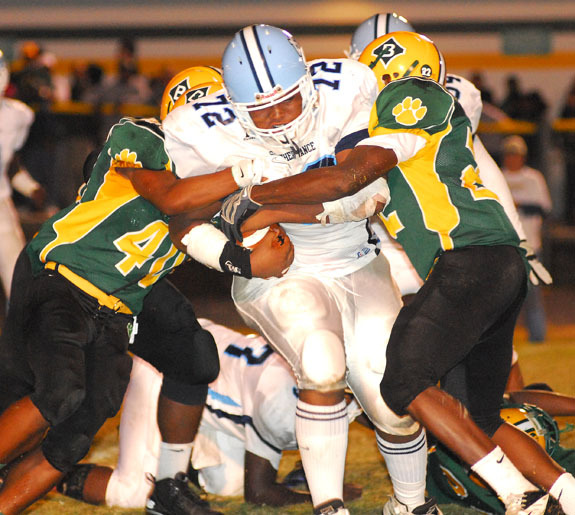 Southern Vance’s Maurice Howard is wrapped up by several Bunn defenders during last Friday night’s high school football game on the BHS campus. 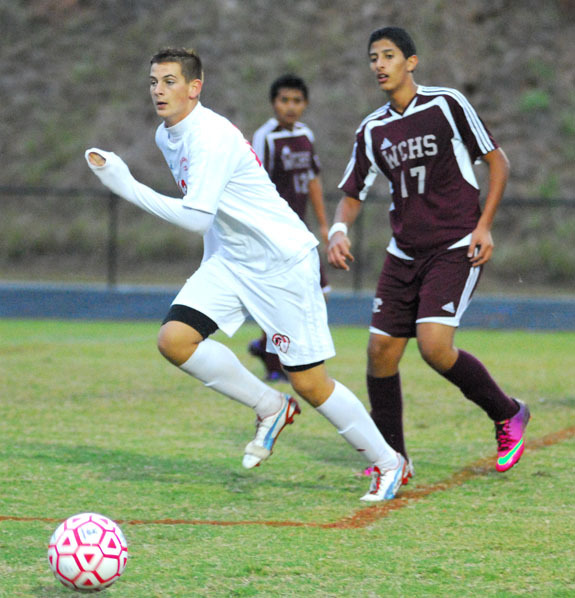 Franklinton’s Jacob Woodburn (left) rushes to gain the ball during last Wednesday’s soccer victory against Warren County in Northern Carolina Conference action. 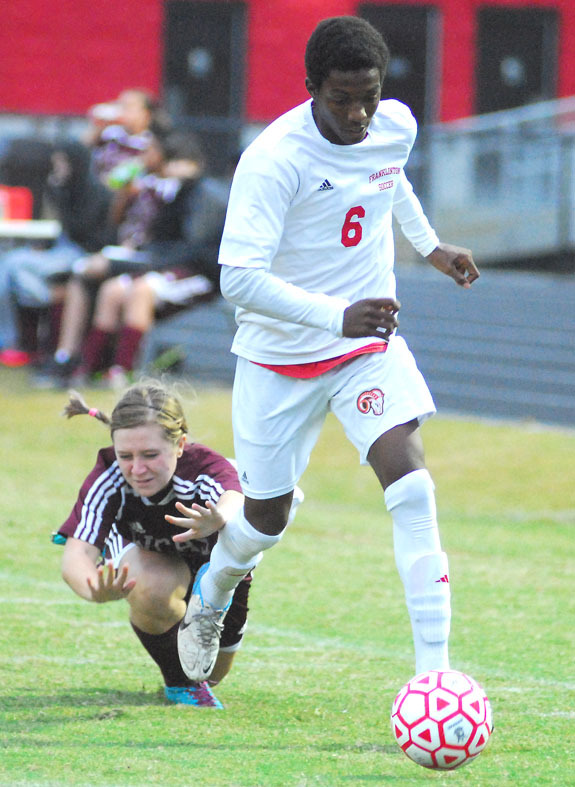 Franklinton’s Ivan Rebollar rushes the ball into the box during last Wednesday’s soccer triumph against the Warren County Eagles at home. 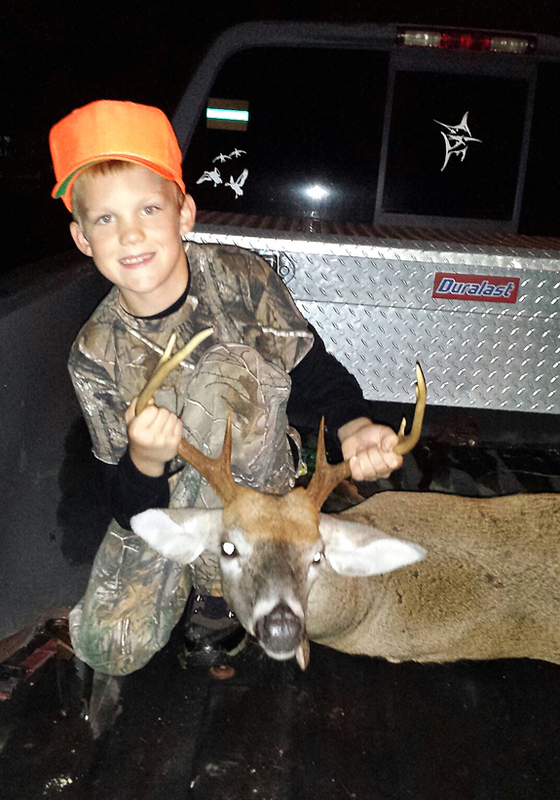 Eight-year-old Tre Chesser recently harvested his first-ever deer -- an eight-pointer from 25 yards out. Tre, who was hunting for the first time and killed the buck on his first shot, used a 20-gauge pump shotgun while hunting on a private farm in Eastern Franklin County. Tre was accompanied on the hunt by his stepfather, Cale Wood. 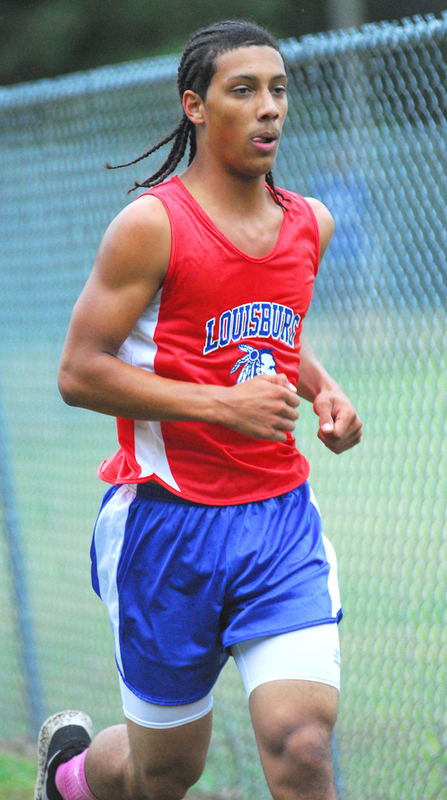 Louisburg’s Chris Thorne was the boys champion during last Wednesday’s Tar-Roanoke Athletic Conference Cross Country Meet on the LHS campus. 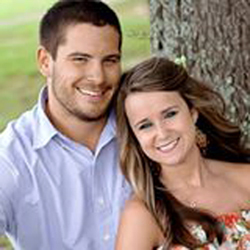 Michael and Anne Puett of Youngsville announce the engagement of their daughter, Krista Anne Puett to Daniel Joseph Trotter, son of Larry and Stephanie Trotter of Youngsville. The wedding will take place on March 15, 2014 at The Garden on Millbrook in Raleigh. 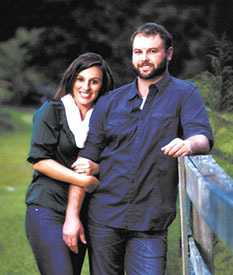 Patty Skiff and Jim Hayes of Franklinton announce the engagement of their daughter, Jessica Christine Hayes of Chapel Hill, to Luke Richard Blitchington, also of Chapel Hill. The groom-elect is the son of Diane and Robert Blitchington of Chapel Hill. A September 2014 wedding is planned at the Carolina Inn in Chapel Hill. Personal “Save the Date” announcements will be sent to family members and friends. Led by energetic clergy and laymen during the late nineteenth and early twentieth centuries, Episcopalians did much to promote Christianity and education in Louisburg. Their labors resulted in the establishment of St. Matthias’ Chapel and a robust school for African American children. Much of the credit should be given to the Right Rev. 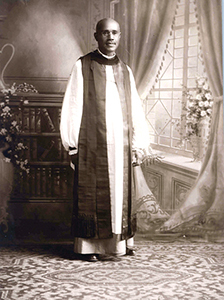 Henry Beard Delany, who from 1889 until 1904, served the Episcopal Diocese of North Carolina as a member of the Commission for Work among Colored People. ATLANTA — The National Society of High School Scholars (NSHSS) has announced that Louisburg High School student Sandra Williams from Louisburg has been selected to become a member of the esteemed organization. The Society recognizes top scholars who have demonstrated outstanding leadership, scholarship, and community commitment. The announcement was made by NSHSS Founder and Chairman Claes Nobel, a senior member of the family that established the Nobel Prizes. YOUNGSVILLE — The town’s Parks and Recreation department will be under new management. Andy McGhee, who had guided the program for the town since at least 2007, resigned the week of Sept. 16, less than a week after essentially accusing new town management — Bill Tatum — of backing off Youngsville’s commitment to administer the program. BEFORE THE MICROWAVE. 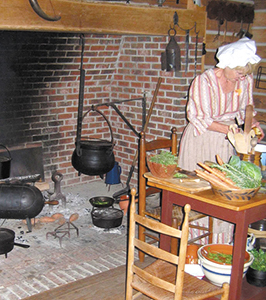 Volunteer Betsy Benning will be giving children a look at how cooking was done on an open hearth decades before modern ranges and microwave ovens drastically changed the task. Soap milling, iron smithing, and clothes washing in a barrel mostly belong to history, but not always. These old-fashioned artisanal activities will come alive again this year in Franklin County during the second Colonial Hearth Day. Franklin County school kids will visit a local farm on a field trip illustrating their North Carolina studies. Organizers believe it offers a rare chance to share stories and crafts that deserve a life outside of textbooks. Fire crews responded in hazmat suits to a Franklinton complex, but the matter turned out to be a non-emergency. Authorities evacuated the Wilson Place Apartments on Joyner Street in Franklinton at about noon on Oct. 11 because of a noxious odor coming from one of the units. Initially, authorities thought it might be the result of a meth lab. SPECTATOR SPORT. United Way Executive Director Kathy Harrelson, left, walks judges through the finer points of deciding the winners of the Siren3 Cook-Off, which ran in conjunction with the Cow Chip Bingo. SPECTATOR SPORT. 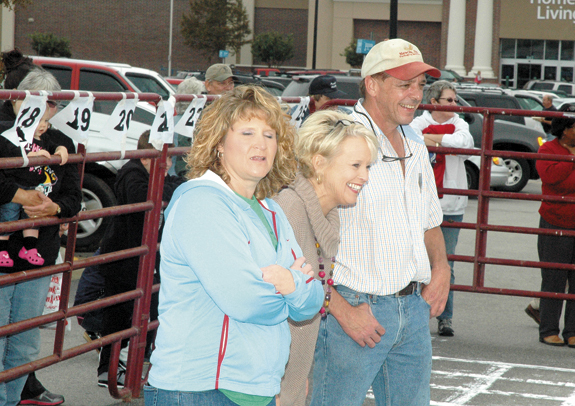 From left, Cow Chip judges Maribeth Allen and Nicki Perry have different reactions to cows doing their business as Mann Mullen, the originator of the Cow Chip Bingo fundraiser, helps with the action. SPECTATOR SPORT. 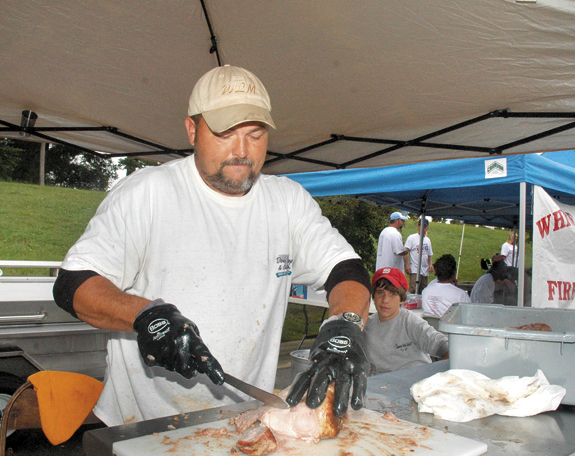 Siren3 co-chair Jeremy Neal shows off his slicing skills during the Siren3 event, which also served as a plate fundraiser for fire, rescue and police units in the county. SPECTATOR SPORT. 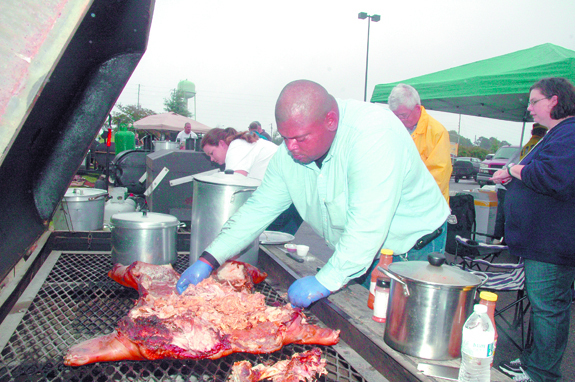 Archie Coley with Lake Royale’s Community Emergency Response Team (CERT) makes sure their pork is ready. The team took home the Community Service Award for contributing most to the success of the event. RALEIGH — A family that alleged nearly a dozen entities were responsible for the events that led to a man mistakenly being declared dead took their case all the way to the state Supreme Court. Earlier this month, that court ruled that Larry Green’s guardians were responsible for legal costs associated with an unsuccessful component of their lawsuit. Members of District #20, Order of the Eastern Star in the Jurisdiction of North Carolina attended the 112th Annual Grand Session recently at the Twin City Quarters in Winston-Salem. The order was founded in North Carolina 134 years ago. District Deputy Grand Matron Shirley H. Wardrick is in charge of the delegation that covers Franklin, Vance and Warren counties. Youngsville police seized drugs investigating two different cases. On Oct. 9, officers arrested John K. Malunda III, 30, of Raleigh, charging him with felony possession of cocaine. He made his initial appearance in court on Tuesday. According to the report by Officer W. Taylor, he was dispatched to a disturbance call at the Wilco Hess on E. Main Street. Novant Health, which operates Franklin Medical Center in Louisburg, has received the Health Information and Management Systems Society (HIMSS) Stage 7 Ambulatory Award for its adoption and use of an electronic health record (EHR). One of only six systems in the country – and the first in the Carolinas - to attain the highest level of EHR use, this award represents the successful transformation of care in Novant Health’s more than 350 physician clinics across three states.